Valentine’s Day is such a fun and festive time of year. 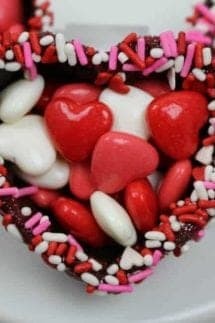 I love everything hearts and who doesn’t love chocolate? It is so fun to surprise your special Valentine with an extra special treat. 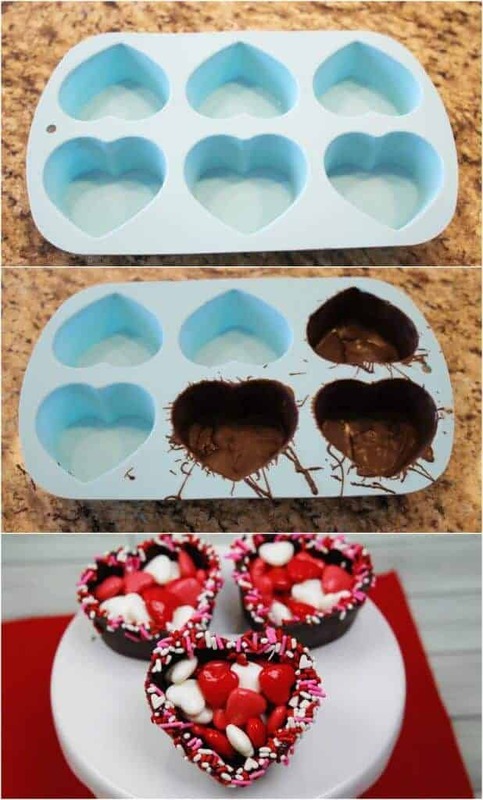 These Valentine’s Day Chocolate Heart Boxes are the perfect treat for someone who doesn’t love to bake, doesn’t love to craft, but wants to make a DIY Valentine dessert. These Chocolate Heart Bowls really take very little skill and just a bit of patience and who doesn’t love an edible bowl? 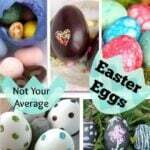 They are super easy to make and will be done in no time at all! If you know me, you know that I LOVE silicon baking molds and I also love melting stuff!! 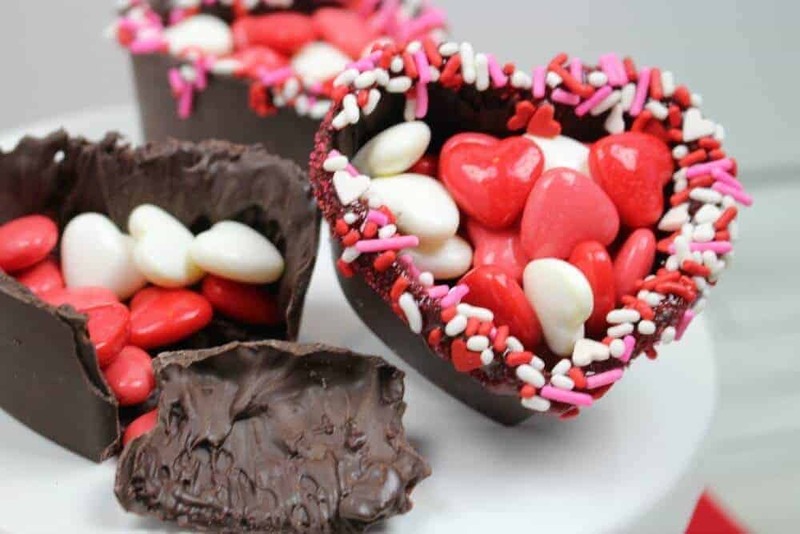 That is why these Valentine’s Day Chocolate Heart Bowls were a dream project for me. If you are looking for some other fun Valentine’s Day Treats – check out some of my other easy Valentine’s Day desserts like my Chocolate Chip Heart Cookies or my Heart Oreo Chocolate Heart Bark. OPTIONAL – brush the rim of the bowl with a little bit more chocolate and dip the rim in sprinkles! Fill with candy and enjoy! 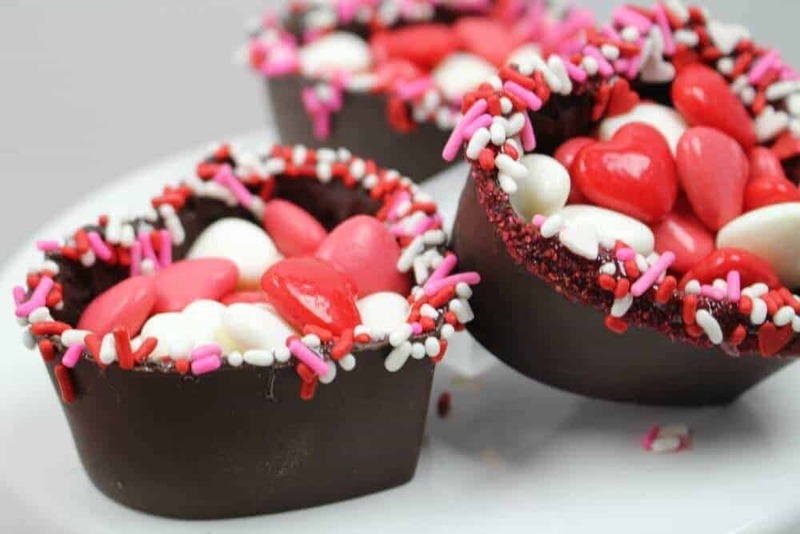 Looking for the perfect Valentine’s Day Treat – Valentine’s Day Chocolate Heart Bowls! 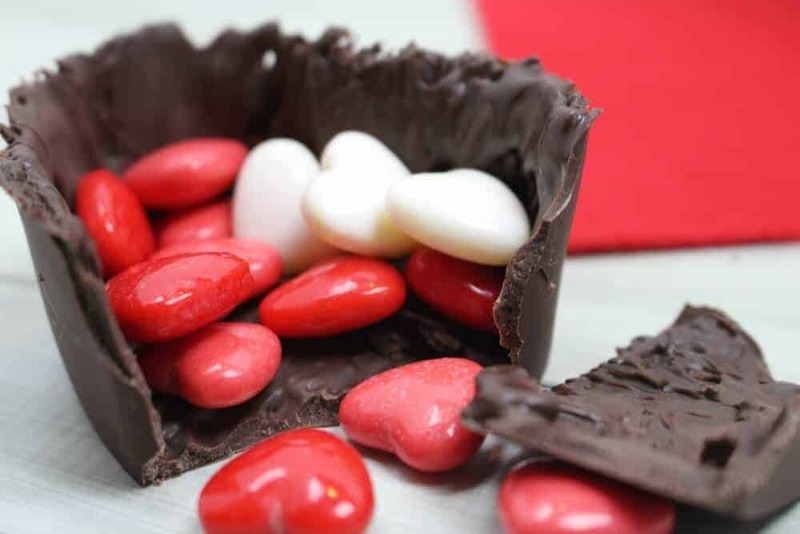 DIY Easy chocolate bowls filled with red, pink and white heart candy! OPTIONAL - brush the rim of the bowl with a little bit more chocolate and dip the rim in sprinkles! 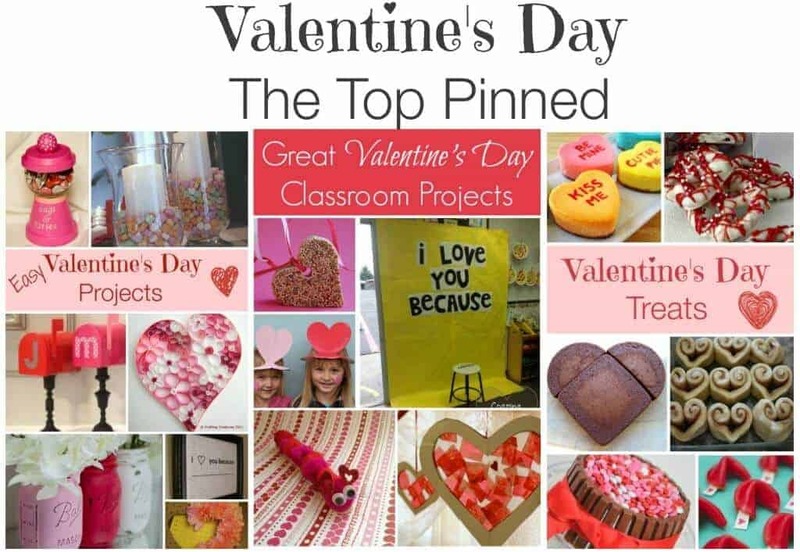 Looking for some other fun Valentine’s Treats – These are the TOP PINNED Valentine’s Day projects, Valentine’s Day Treats and for the room mom’s out there- check out our easy Valentine’s Day Classroom Projects! Ahhhhhh-dorable. Love these! I won’t say how many I could eat. 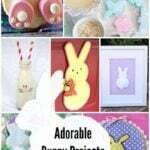 These are so cute and perfect for a kids party.